Roses are red, violets are blue…. Who cares about Valentine’s Day?! It’s GIRL SCOUT COOKIE SEASON! With New Years’ resolutions now long forgotten and the day-to-day routine of 2019 officially underway, there is no sweeter timing for the arrival of Girl Scout Cookies. 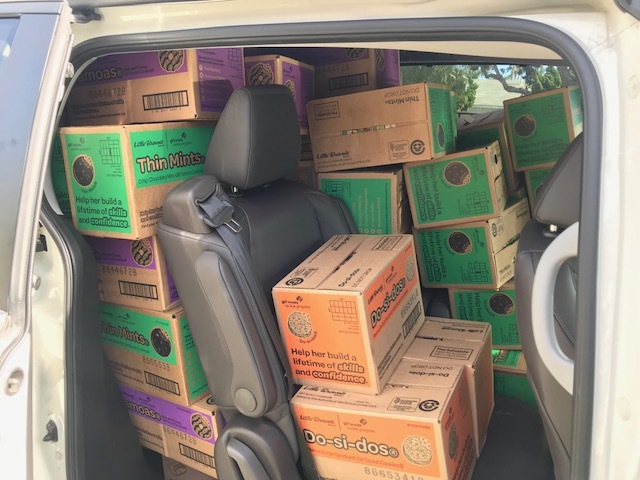 Last weekend marked the beginning of the selling season as local Girl Scouts installed personal pop-up shops in front of their houses and took to residential streets armed with decorative wagons loaded with cookies. 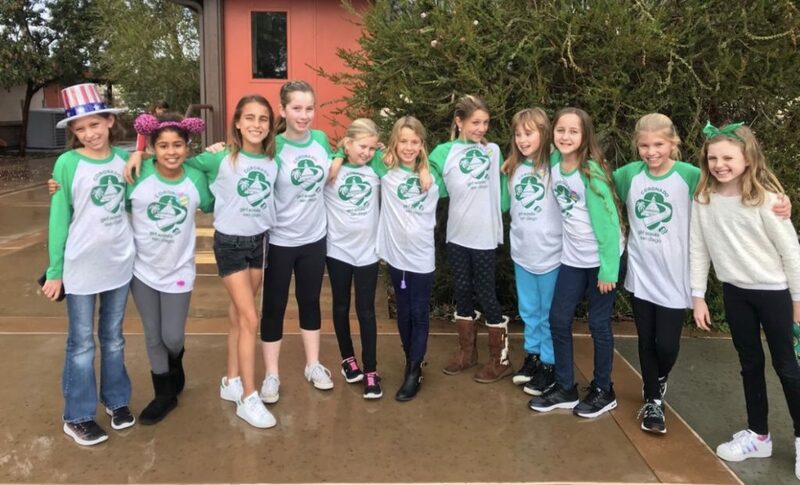 According to Coronado resident and official Girl Scout Service Unit Cookie Coordinator (SUCC) Stephanie Nurding, fourteen of the eighteen Girl Scout troops in Coronado are selling cookies – representing 116 girls ranging in ages from 5 to 18. Competitive sales performance is well-represented in Coronado. Last year, three Coronado Girl Scouts were among the top 100 sellers in San Diego. Combined sales for all Coronado troops equated to 22,225 boxes of cookies sold. 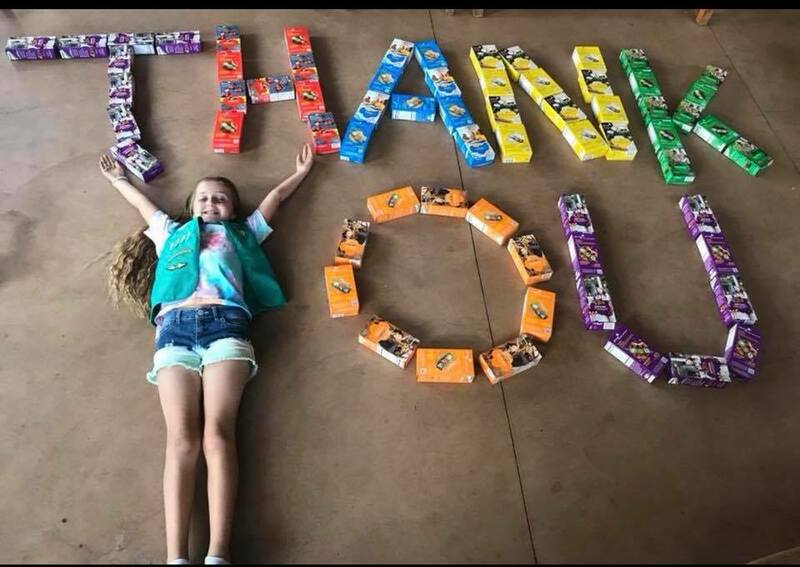 According to the official Girl Scout cookie website www.girlscoutcookies.org, the origin of Girl Scout Cookie sales dates back to 1917 when a troop in Muskokee, Oklahoma sold cookies in a high school cafeteria as part of a service project. The 1920s introduced the first door-to-door sales, with locally-baked sugar cookies being sold at a price of 25-35 cents per dozen. As the years progressed, so did the enterprising nature of Girl Scout Cookie sales. In 2014, a digital platform was launched which facilitated credit card processing and remote sales. 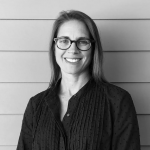 “The online system is an important evolution in cookie sales,” says Nurding, “it makes it so simple to reach out to friends and families that may live elsewhere and is simply another way keep a customer base year after year. It also teaches girls how to market themselves online which is an important business skill in today’s world”. 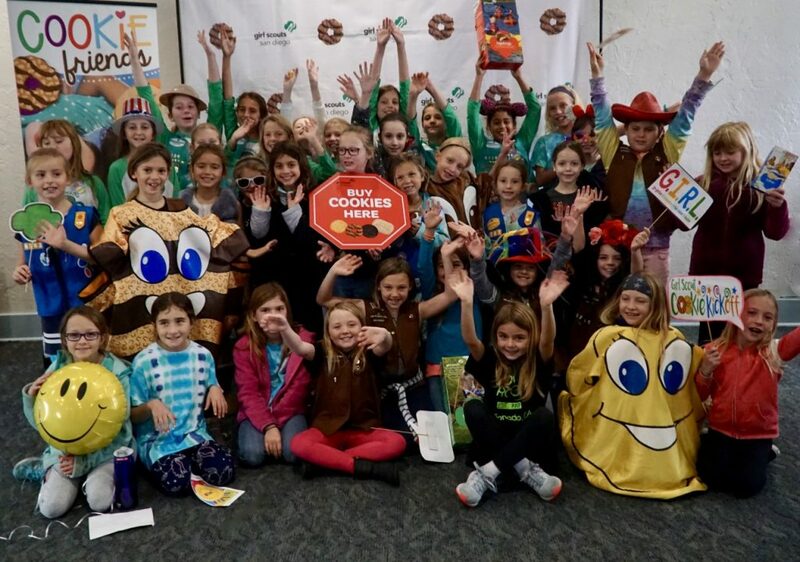 Today, a box of cookies costs $5 (or $6 for a seasonal specialty version), but each box purchased is an investment in the success and entrepreneurial spirit of the individual Girl Scout who sells it. One hundred percent of the net proceeds from each box of cookies is retained by the originating troop to fund activities decided upon by them. A portion of revenue is also earmarked by each troop for a charity or nonprofit of their choice. Cookie booth sales will begin Friday, February 8th and run through Sunday, March 10th at Boneys, Smart and Final, Vons, MooTime, and Village Pizza. Ascent Property Management will host cookie sales on weekends.